As we look farward to bring you a new Windows 7 Activator?? This is an ideal tool to activate the final version of Windows 7/8/8.1 and Office 2010/2013. Activator does not require user intervention, the entire activation process takes place in the background, just run the activator and a couple of minutes to check the activation status of Windows and/or Office. Important: If you like MS Windows and MS Office please buy legal and original this program help to test this products, but recommend you buy legal from creators (M$ Corp). I did this for fun, and now I am done with this. Working in W8 and Office 2013 fresh install and VOLUMEN LICENSE editions. 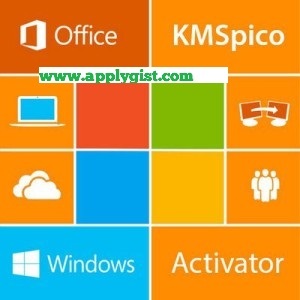 KMSpico 10.1.1 (Office and Windows 10 Activator). Also Read Sick And Tired of IDM [Internet Download Manager] – Download and Use EagleGet is Here! – Make exceptions to Directory %ProgramFiles%\KMSpico\*.exe in Antivirus or Defender. – Fixed bugs with Office 2016 Preview activation and converter to VL. – Add gvlks for WServer 2016.